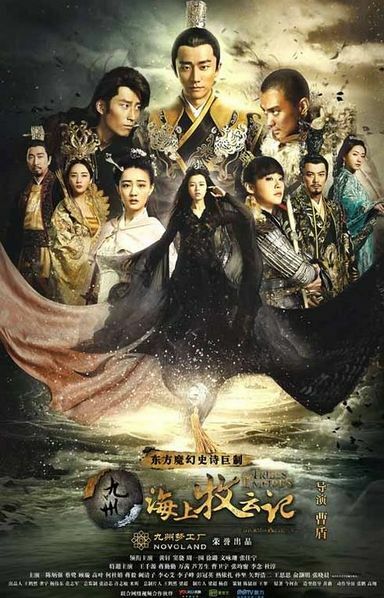 The series is set in the fictional world of Novoland, and follows the lives of an imprisoned half-human half-spirit prince Muyun Sheng, an abandoned son of a general Muru Hanjiang, and the heir of a slaughtered tribe Shuofeng Heye as they uncover the secrets of their past and seek both revenge and justice for the ones they love. Interwoven among the men are the women who also cannot escape from the storm of prophecies. Su Yuning, the woman who was prophesied to be Muyun Sheng's empress but whose heart belong to someone else, Panxi, a spirit locked inside a pearl, and the fierce warrior Princess Muyun Yanshuang.